It’s been 2 months since our last newsletter (read it here if you missed it). Going forward, you can expect a monthly update from us. Before we jump into all things new and exciting, we want to thank everyone who filled out our survey. Your answers gave us the insights we needed to focus on what matters to you. Finally, don’t forget to “like” us on Facebook for daily updates and tons of interesting articles! It gives us great pleasure to announce that we are entering the beta testing phase! From Tempdrop’s inception, we’ve been in close contact with the FAM education community in Israel. With their support, we will commence in the coming weeks a study to identify any remaining kinks that need to be ironed out. This is big news, since the entire system (device and web integration) will be put to the test - we are sooo excited! We apologize to everyone who really wanted to be a beta tester. We decided to do it in Israel in collaboration with the FAM community in order to progress more quickly, and make the process more manageable. We’re doing our best to put Tempdrop in your hands as soon as possible. We totally understand your requests for a specific date, but we've decided not to do that yet as any unforeseen snag could cause a delay. Basically, we believe anticipation is better than disappointment. All we ask is that you continue to bear with us. 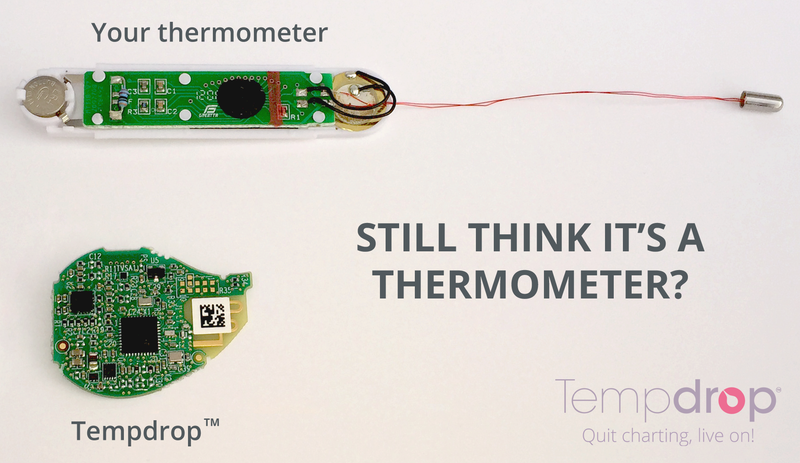 Keep in mind that when we launch, Tempdrop will no longer be available at the special pre-order price of $69.99. If you are on the fence about pre-ordering, consider locking in your order at the pre-order price. Remember, you can cancel at any time. Since launching our new website in November, we’ve been constantly updating our frequently asked questions to reflect your inquiries. Now, we’re getting ready to add a few new pages explaining the science and technology behind Tempdrop. We hope you’ll let us know if anything is still unclear, as we want Tempdrop to be accessible to all women – regardless of their level of experience with fertility awareness methods. We'll post an update on our Facebook page as soon as the new content is up.